BOY MEETS BODY #1 in the PARTNERS in CRIME series Two young lives snuffed out, half a century a part, half a continent apart. The men who solve the murders also have to solve riddles in their own lives. Love is never easy. Sometimes, if you're lucky, you can give your life to it. Sometimes, though, if you're not so lucky, you can give your life for it... Cards on the Table by Josh Lanyon Fifty years ago a glamorous Hollywood party ended in murder-the only clue a bloody Tarot card. Timothy North is trying to find out what happened that long ago summer's night, but when a Tarot card turns up pinned to his front door, the only person Tim can turn to for help is his ex-lover, Detective Jack Brady. Murder at the Heartbreak Hotel by Sarah Black Peter Moon, proprietor of a charming little get-away in the Land of the Midnight Sun, finds himself headed for less comfortable accommodations when he's accused of murder. Then his personal heartbreak showed up, fresh from six months in a Yukon River fish camp, determined to help. 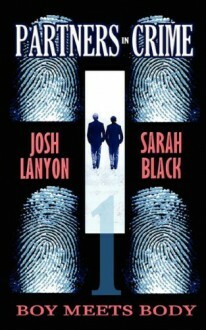 This ebook contains suspenseful, non-series m/m stories from the always excellent Lanyon and Price.